You and I were and are created for fire! No matter where I am in the world, my favorite things to eat are hot and spicy food. As far as I am concerned, the hotter the food, the better it tastes. I could say the same thing about having the fire of the Holy Spirit in my life. The hotter the flames of the Holy Spirit are burning in my life, the better life gets. Fire is one of four elemental forces of nature (Earth, air, water, and fire). Fire is the key to modern technology. Fire is a sign and wonder in God's creation. Fire is an extraordinary blessing. Fire also can be devastatingly destructive. But you don't get rid of fire. Without fire, civilization would grind to a halt. There would be barbarism and stagnation in the dark and the cold. Fire in one form or another illuminates our world. Fire heats our homes and cools them, cooks our food and runs our automobiles. Without fire there would be no TVs, cell phones, computers, laptops or iPads. Fire truly is the key to modern technology. Under control, the benefits of fire are too numerous to mention. Out of control, it can destroy what it takes us years to build. Just as fire is the key to modern technology so also the fire of the Holy Spirit is the key to the end time move of God. This week I want to focus on another benefit of living a Holy Spirit–empowered life. Life with the Holy Spirit is not only easier, but it is so much more exciting, interesting, fulfilling and, well, hotter. It is how we were meant to live. In fact, I would go so far as to say it's unscriptural to try to live a Christian life that is not totally empowered by the Holy Spirit. Remember what Jesus told the church at Laodicea: " I know your works, that you are neither cold nor hot. I wish you were cold or hot. So then, because you are lukewarm, and neither cold nor hot, I will spit you out of My mouth" (Rev. 3:15–16). Is it possible to live a Christian life without the passionate flames of Holy Spirit empowerment? Yes. Absolutely. Is it God's best for us? Is it God's best for the people over whom we have been set as a shepherd? This verse would seem to answer no. Now, when I talk about living a life empowered by His Spirit, I'm not talking exclusively about the gifts of the Spirit outlined in Romans 12:6–8 and 1 Corinthians 12:8–10 (though I do believe it is God's will for us to experience those powerful, biblical moves of His Spirit in our lives, ministries and fellowship now). 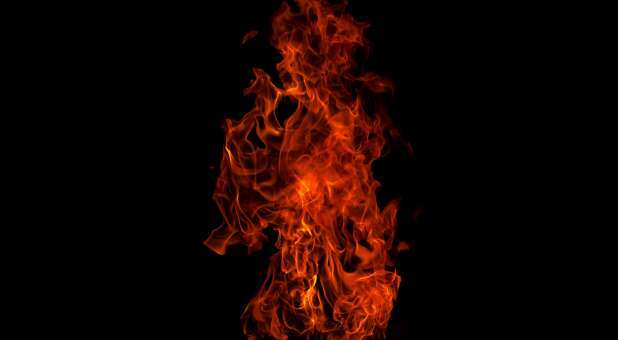 I know there are many interpretations about what it looks like in practice to live on fire with the Holy Spirit, and I'm not disputing the efficacy or biblically of those different pathways. Instead, I'm simply referring to a life that is marked by an intentional pursuit of God and a willingness to allow His Holy Spirit to lead, guide and direct our paths. When we do that, when we say yes to being directed and empowered by His Spirit, our lives will be anything but mundane. We will live outside of our comfort zone but also in the peaceful center of His perfect will. Let me ask you a question: When you get to heaven, what stories do you want to tell? Do you want to talk about how in your life and relationship with God you always played it safe? Or do you to talk with Jesus and the giants of our faith about the instances in which the flames of the Holy Spirit burned hot in your life and ministry and took both to the next level—transforming your life and others' in the process? 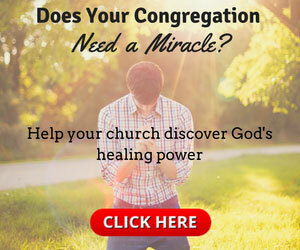 Don't you want to be able to share about the excitement and thrill you had in life winning the lost to Christ, seeing the sick be healed, watching the brokenhearted be restored and witnessing the miraculous power of God every day? Don't you want to be able to say you answered, like Shadrack, Meshack and Abednego, "Our God whom we serve is able to deliver us from the burning fiery furnace, and He will deliver us out of your hand, O king" (Dan. 3:17), even if it meant walking into the fiery furnace? Resist the forces pulling on you to be a lukewarm Christian. Live your life on fire for God, and keep that fire hot until the day when we see Jesus come back again and hear Him say, "Well done, my good and faithful servant."